Restaurants face off in a competition to see who has the tastiest chowder in St. Augustine. 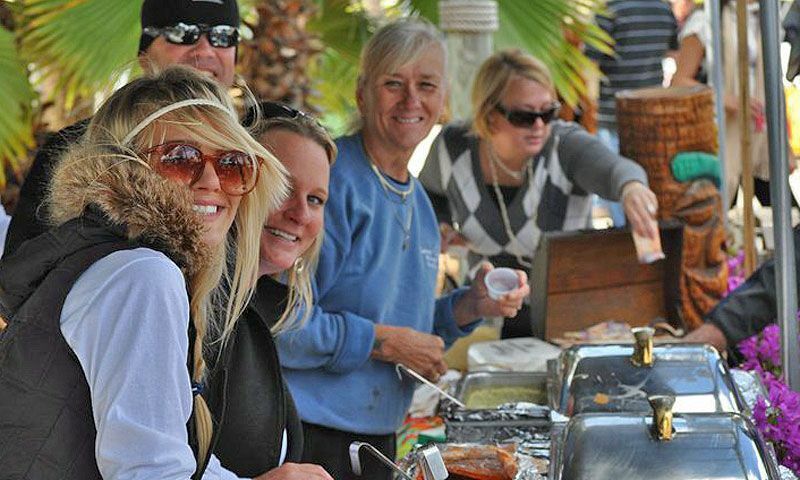 The Annual Great Chowder Debate features over 30 local St. Augustine restaurants competing for "Best Chowder" bragging rights in five different chowder categories: Minorcan Conch Chowder, Minorcan Clam Chowder, New England Clam Chowder, Seafood Chowder, and Non-Seafood Chowder. This local tradition began in 1984, when founder and owner of The Conch House, David Ponce, and his chef debated whether Minorcan or New England clam chowder was better. The decision was made to let the community decide, and The Great Chowder Debate was born. This event is hosted by The Conch House Marina Resort, and proceeds will benefit Big Brothers Big Sisters of St. Johns County. Tickets for tastes of chowder will be sold for $1 each. Patrons are welcomed to vote on their favorite chowders to decide which wins the "People's Choice" award. Beverages including beer, soda, tea, and water will also be available for purchase during this event. For more information about The Great Chowder Debate, please visit the event website or call (904) 829-8646. There is free parking available at the St. Augustine Amphitheatre with complimentary shuttle service provided by The Red Train. Parking will not be available on site as the Conch House parking lot will serve as the event grounds. Street parking is also available. Admission: Admission to the event is free. Taste tickets will be available for sale for $1.00 each. When: Sunday, November 4, 2018 from noon to 4 p.m.
Where: The Conch House Marina, 57 Comares Ave. St. Augustine, FL 32080. Located on the Salt Run channel off of the Intracoastal Waterway.